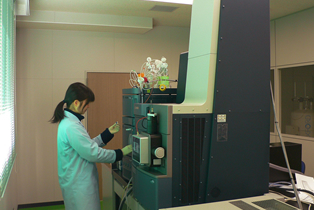 ﻿ Dietary Supplement OEM (Contract Manufacturing) R & D Company｜API Co., Ltd.
At the Nagaragawa Research Center, established in 2003, four groups—the Functionality Research Group, the Analytical Chemistry Group, the Safety Research Group and the Product Development Group—conduct basic research to scientifically and comprehensively evaluate the biological activity, pharmacological activity and safety of royal jelly, propolis, bee pollen, honey and other bee products as well as the substances they contain. Not just limited to our food business, this basic research also covers applications for pharmaceuticals. Applying the techniques and results of our basic research, we work on developing new value-added functional materials and new products that suit market needs. We broadcast the outcomes of this research widely across the globe in articles, conference presentations and patent applications. 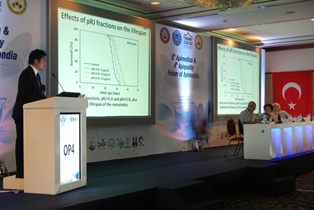 In April 2010, API signed a joint research agreement with Gifu Pharmaceutical University with the aim of scientifically elucidating the composition and functions of bee products. GPU is accepting applications from its researchers and defined numerous topics for research centered on royal jelly, propolis and the substances they contain. 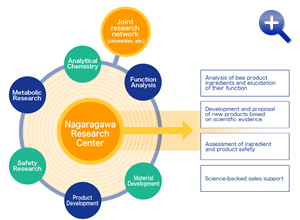 We also signed it with The United Graduate School of Drug Discovery and Medical Information Sciences at Gifu University for researching bee products as well. By teaming up with GPU and using cutting-edge technology to conduct research at the molecular level, we hope to elucidate active ingredients and mechanisms and master advanced formulation technologies. Based on our research outcomes, we seek to develop a higher level of products in the future.